"This was my first visit and I came away impressed.."
"I would highly recommend Atkins to anyone needing car help,.."
"Mr. Atkins and his crew, truly love cars. Had our.."
"I am very satisfied with the service completed on my.."
"excellent service - high quality workmanship - accurate estimates my go-to shop"
"Atkins auto repair has provided me top of the line.."
"The customer service I was greeted with as soon as.."
"I would highly encourage them to get their repairs done.."
"Quality repair work at an honest and fair price Great customer service"
"HONEST PEOPLE, HONEST WORK was done on my car. Very.."
"The staff is very concerned about customer satisfaction. Most of.."
"I recommend them all the time to my friends. .."
"My most recent visit was very disappointing. Before I.."
"Quality work at fair price Excellent customer service"
"The people at Atkins are very friendly. I have used.."
"I've been going to Atkins for years and have always.."
"I would absolutely recommend family and friends to take their.."
"Great folks to do business with. They are Christians and.."
"Kyle, Neil, and Millie make the "repair experience" tolerable because.."
"Neal and Kyle both have an exceptional knowledge of automobiles.."
"I would certainly recommend them. 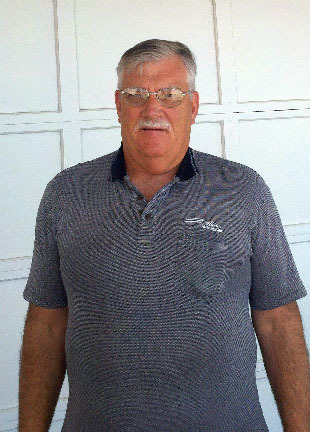 Neal found the problem right.."
"Kyle and the gang at Atkins Auto Repair are the.."
"Trustworthy and quality repair shop. They take care of your.."
"Flawless, each and every time. Kyle's been with me through.."
"They are honest and prices are reasonable and the entire.."
"Reasonable price and Kyle went the extra mile by driving.."
"Kyle always gets me in within a day or so.."
"Kyle always gets me in for service work within a.."
"Kyle always gets me in within a day or so,.."
"I have repeadedly told friends that need car services about.."
"Kyle and Neal are great. They are friendly, honest,.."
"Knowledgeable and friendly. Worked me in as I was broken.."
"Knowledgeable and friendly. I was traveling and they worked me.."
"I highly recommend this shop, I trust their opinion.."
"I would highly recommend this shop. I trust their.."
"Atkins provides a small friendly mechanic's shop experience with extremely.."
"I have always been very pleased with the work done.."
"I have been a customer of Kyle's for over 20.."
"I guess there is not enough space here for me.."
"I feel I was treated very fairly. The work was.."
"Honest, dependable, reasonable rates, no bait/switch, if service/repair not required.."
"Outstanding. There is no other way to describe it. Neil.."
"The first and most important thing that comes to mind,.."
"My friend recommended this place and I am so happy.."
"Atkins is the only place I have my vehicle work.."
"Atkins Auto Repair is the only place I will ever.."
"I will always use Atkins Auto for all my vehicle.."
"FINALLY!!! There is a repair service that repairs ONLY.."